I'd sport it if it were solid black and didn't have the light bar. The steel wheels and cop caps just work here, somehow. They're just Chevy rallies painted black with chrome center caps, but they do make it look pretty awesome. 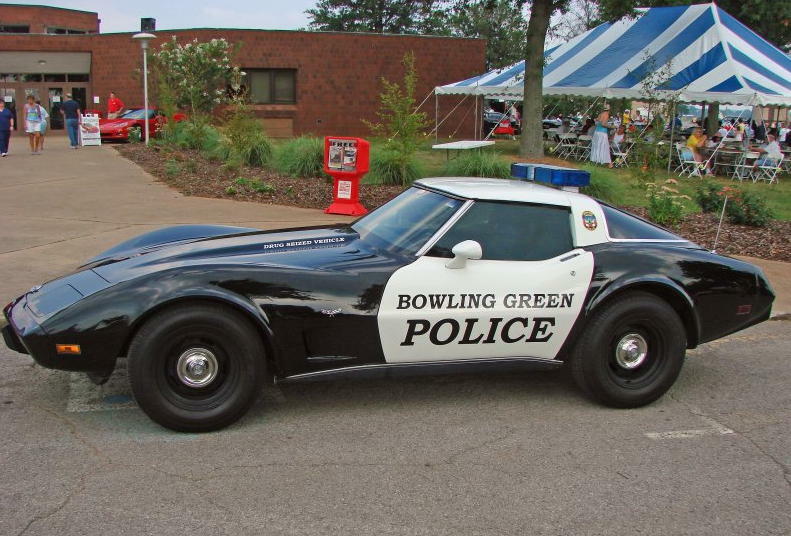 Kinda odd to have a St. Louis 'Vette dolled up as a Bowling Green police car. #3, If it was an early C1 it could be dolled up as Flint Police, but then jokes about acute lead poisoning would just be ironic.